Memphis Violent Crimes can be especially damaging to criminal defendants because they can affect access to your privacy, your children and your job. If your employer believes that you are violent or unable to control yourself, he or she will certainly not keep you on the job. A defendant charged with a violent crime can also expect that the media will publicize the accusations on television well before he or she has the chance to present the truth. The prosecutor’s office also employs victim impact coordinators who work tirelessly to keep victim(s) involved in the case to ensure their appearance. A person convicted of a serious violent crime will also not have as many options available to them such as judicial diversion, probation, house arrest, or other alternative sentences. At The Law Office of J. Jeffrey Lee, I regularly defend defendants charged with Memphis violent crimes in state and federal court. I can defend your violent crime whether you are accused of assault, aggravated assault, murder, manslaughter, reckless homicide, kidnapping, aggravated kidnapping, robbery, aggravated robbery, or carjacking. The first approach with a violent crime is to identify the individuals who were present during the alleged offense, lock down what the witnesses may say, and investigate any angle that may discredit their damaging testimony. There are also many legal defenses that apply to a defendant charge with a violent crime such as alibi, diminished capacity, duress, impossibility or self-defense. As a certified criminal trial specialist, I am familiar with preparing and delivery a trial strategy from beginning to end – from accusation to acquittal. Click here to schedule a Strategy Session where we can discuss the details of your case and I can provide an Individualized Client Packet based on your specific needs. (3) Intentionally or knowingly causes physical contact with another and a reasonable person would regard the contact as extremely offensive or provocative. 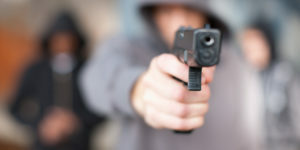 (b) (1) Assault is a Class A misdemeanor unless the offense is committed under subdivision (a)(3), in which event assault is a Class B misdemeanor; provided, that, if the offense is committed against a law enforcement officer under this section, then the maximum fine shall be five thousand dollars ($5,000). (2) In addition to any other punishment that may be imposed for a violation of this section, if the relationship between the defendant and the victim of the assault is such that the victim is a victim as defined in § 36-3-601(8), and if, as determined by the court, the defendant possesses the ability to pay a fine in an amount not in excess of two hundred dollars ($200), then the court shall impose a fine at the level of the defendant’s ability to pay, but not in excess of two hundred dollars ($200). The additional fine shall be paid to the clerk of the court imposing sentence, who shall transfer it to the state treasurer, who shall credit the fine to the general fund. All fines so credited to the general fund shall be subject to appropriation by the general assembly for the exclusive purpose of funding family violence shelters and shelter services. Such appropriation shall be in addition to any amount appropriated pursuant to § 67-4-411. (B) Uses or displays a deadly weapon. (b) A person commits aggravated assault who, being the parent or custodian of a child or the custodian of an adult, intentionally or knowingly fails or refuses to protect the child or adult from an aggravated assault as defined in subdivision (a)(1) or aggravated child abuse as defined in § 39-15-402. (c) A person commits aggravated assault who, after having been enjoined or restrained by an order, diversion or probation agreement of a court of competent jurisdiction from in any way causing or attempting to cause bodily injury or in any way committing or attempting to commit an assault against an individual or individuals, intentionally or knowingly attempts to cause or causes bodily injury or commits or attempts to commit an assault against the individual or individuals. (d) A person commits aggravated assault who, with intent to cause physical injury to any public employee or an employee of a transportation system, public or private, whose operation is authorized by title 7, chapter 56, causes physical injury to the employee while the public employee is performing a duty within the scope of the public employee’s employment or while the transportation system employee is performing an assigned duty on, or directly related to, the operation of a transit vehicle. (e) (1) Aggravated assault under subsection (d) is a Class A misdemeanor. Aggravated assault under subdivision (a)(1) or subsection (b) or (c) is a Class C felony. Aggravated assault under subdivision (a)(2) is a Class D felony. However, if an offense under subdivision (a)(1) or (a)(2) or subsection (c) is committed against a law enforcement officer, then the maximum fine shall be fifteen thousand dollars ($15,000). (2) A killing of another that results from the unlawful distribution of any Schedule I or Schedule II drug, when the drug is the proximate cause of the death of the user. (b) In a prosecution for a violation of this section, if the defendant knowingly engages in multiple incidents of domestic abuse, assault or the infliction of bodily injury against a single victim, the trier of fact may infer that the defendant was aware that the cumulative effect of the conduct was reasonably certain to result in the death of the victim, regardless of whether any single incident would have resulted in the death. (c) Second degree murder is a Class A felony. (a) Voluntary manslaughter is the intentional or knowing killing of another in a state of passion produced by adequate provocation sufficient to lead a reasonable person to act in an irrational manner. (b) Voluntary manslaughter is a Class C felony. (a) Reckless homicide is a reckless killing of another. (b) Reckless homicide is a Class D felony. (a) A person commits the offense of false imprisonment who knowingly removes or confines another unlawfully so as to interfere substantially with the other’s liberty. (b) False imprisonment is a Class A misdemeanor. (a) Kidnapping is false imprisonment as defined in § 39-13-302, under circumstances exposing the other person to substantial risk of bodily injury. (b) Kidnapping is a Class C felony. (5) While the defendant is in possession of a deadly weapon or threatens the use of a deadly weapon. (b)(1) Aggravated kidnapping is a Class B felony. (2) If the offender voluntarily releases the victim alive or voluntarily provides information leading to the victim’s safe release, such actions shall be considered by the court as a mitigating factor at the time of sentencing. (a) Robbery is the intentional or knowing theft of property from the person of another by violence or putting the person in fear. (b) Robbery is a Class C felony. (2) Where the victim suffers serious bodily injury. (b) Aggravated robbery is a Class B felony. (b) Carjacking is a Class B felony.